Tucker-Yocum & Wilson Funeral Home provides a wide range of services to meet the needs of all families we are privileged to serve. Because serving your family is most important to us, our staff is focused on allowing the family to go through the grieving process without being distracted or frustrated by details. We will insure that all details are addressed in a timely and professional manner. This conference is important, whether it be at the time of need or in a pre-arrangement setting. We take time during this conference to meet with the family, find out about them and the person they are arranging for, and assist them in determining what services will best serve them. Transfer to the funeral home from the place of death, anywhere in the world. Gather personal information and assist your family with local and/or out of town newspapers and radio obituaries. Preparation and filing of necessary permits and authorizations relating to the death and burial or cremation. Obtaining the death certificate from the doctor or medical examiner, completing vital statistics information and filing with the local registrar, obtaining certified copies of the death certificate. Notifying Social Security; and helping you apply for Veteran Markers/ Benefits. 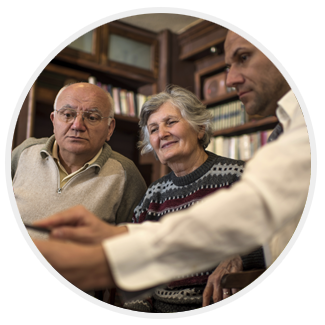 Assistance with life insurance claims. 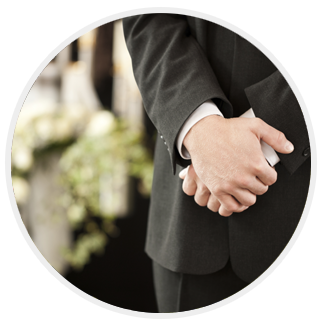 Arrange location for services such as funeral home, church or other setting for the service selected. Coordinating plans with clergy, fraternal groups, military honors, musicians, etc. Ample staff insures expeditious response time, professionally licensed Funeral Directors available 24 hours a day 365 days a year. A traditional funeral service is when your loved one is present. Generally visitation is held the night before or day of the funeral. The services can be held either in our funeral home, a church or other location, followed by a procession to the cemetery for a committal service. Traditional funeral services are most common in our area. The term "traditional" should not be misleading. There are no rules or customs to which one must adhere when planning a funeral. Any component of the traditional funeral can be tailored or omitted in order to suit the needs of the family. Immediate burials and graveside services can be options as well. Please contact our office any time to further discuss the type of service that will best serve you. The Funeral Service and Cremation Cremation is another means of final disposition. Cremation can follow the visitation and funeral service at which the casket is present. After the funeral service, instead of going to the cemetery, the casket goes to the crematory. 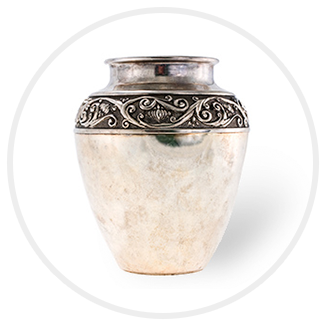 After cremation, if desired, a public or private inurnment of the cremated remains can take place at the convenience of the family. The Memorial Service and Cremation A memorial service, without the casket present can be held after the cremation takes place. The cremated remains may or may not be present for the memorial service. The service can be held at the funeral home, or at a church or other location. After the service, the urn may be taken to a cemetery for burial or be returned to the family. Embalming and Cremation Embalming is most often a matter of practical necessity for a service with the body present. For immediate cremation, embalming is not required. In fact, embalming is not a legal requirement in the State of Kentucky. State health regulations will vary regarding the requirement for embalming. Direct Cremation Direct Cremation is available when a family or individual chooses to forgo any formal funeral or memorial services. Living Urn Memorial Tree We are able to help you choose and order a tree, that will arrive during the planting season, then help plant this sappling with your loved ones cremains. A way to remember your loved one in the nature around you. Our family at Tucker-Yocum & Wilson Funeral Home is here to help you and your family in any way we can. You can always count on our prices to be fair and affordable. Beginning with first notification, Tucker-Yocum & Wilson Funeral Home will coordinate all the details and insure that they are carried out to the family's satisfaction. Our concern for you and your family continues long after the service is over. After all, powerful feelings last for a very long time and it's normal to feel grief, a sense of loneliness, and abandonment at the loss of a loved one. Human beings have been experiencing and coping with grief since the beginning of time, and there are many resources available to help you. Don't wait for a death to occur. You're welcome in our home any time.